It’s hardly breaking news that the Trump administration has forced the federal government to change sides in the fight for voting rights. That the president appointed champion vote-suppressor Kris Kobach to run an “Election Integrity Commission” made that abundantly clear. 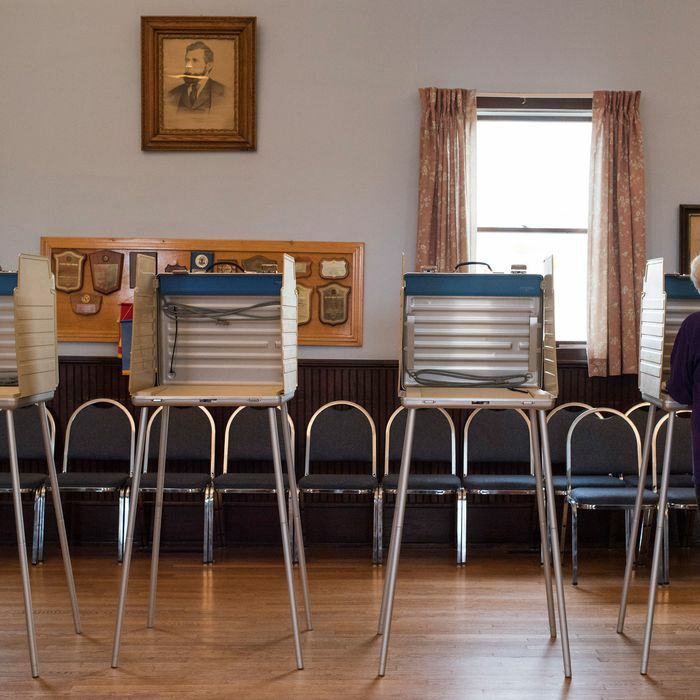 Civil rights groups last year challenged Ohio’s process, arguing that such purges are prohibited under the National Voter Registration Act. The Justice Department under Obama filed an amicus brief siding with the groups, and the Supreme Court is set to hear the case in the next term. But in an unusual turn, the department filed a new amicus brief Monday arguing that the purges of voters are legal under federal law. This brief, unlike the prior one, was not signed by career attorneys in the Civil Rights Division. Ohio (more specifically its secretary of State and GOP gubernatorial candidate, John Husted) wants to purge voters from the rolls if they don’t cast ballots for six years and don’t respond to a single inquiry seeking to verify their status. It’s no secret this is a practice that tends to disproportionately affect Democratic-leaning minority voters, and it would appear to violate the spirit if not the letter of the National Voter Registration Act of 1993, which prohibits purges that “result in the removal of the name of any person from the official list of voters … by reason of the person’s failure to vote.” Ohio, of course, is claiming that it’s the failure to respond to its letters of inquiry rather than failure to vote that triggers the purge, but that seems half-true at best. More generally, voter purges have a long and unsavory reputation as a tool of GOP voter suppression, most famously in Florida in 2000, when Republican election officials purged thousands of voters who were erroneously identified as ex-felons. Ohio has made an awful lot of allegedly innocent errors in its voter purges, too, and, all in all, as voting rights authority Ari Berman notes, 144,000 voters have been purged since 2012 in three heavily Democratic Ohio counties. In any event, the federal courts, including most recently the Sixth Circuit Court of Appeals, have adjudged the Ohio purge as illegal under the NVRA. It was generally considered a bad sign by voting-rights advocates when SCOTUS agreed to hear Ohio’s appeal of that decision. Now the U.S. Justice Department, traditionally (in Republican as well as Democratic administrations) the great defender of voting rights, is supporting Ohio’s right to go after the voting rolls with form letters and hedge-clippers. It’s just another step toward turning voting into a privilege that has to be perpetually won, instead of a presumed and cherished right.